Purchase this product now and earn 2,880 Reward Points! Vitamin K1 is found naturally in green leafy vegetables and many other healthy foods. 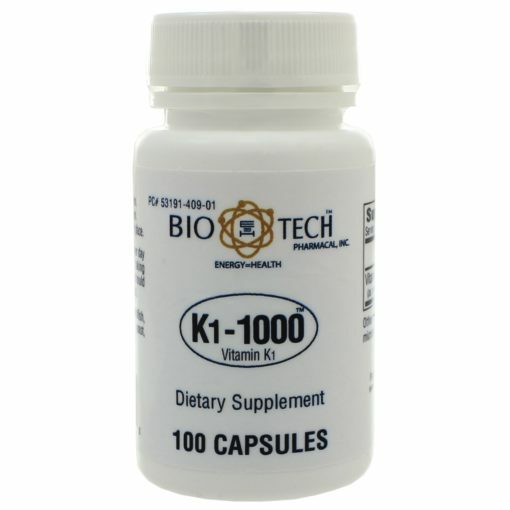 K1-1000 is formulated with a dry preparation of vitamin K1. 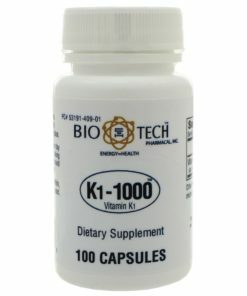 Take one capsule per day or as directed by a healthcare professional. Individuals taking blood-thinning medications should consult a healthcare professional. Contains NO: Dairy, egg, fish, shellfish, nuts, wheat, gluten, soy, sugar, yeast, artificial preservatives or colors.